scaba is proud to present an initiative to encourage and assist young players to experience a unique opportunity that will help them achieve greater awareness of their playing capabilities and future prospects on their chosen instrument. 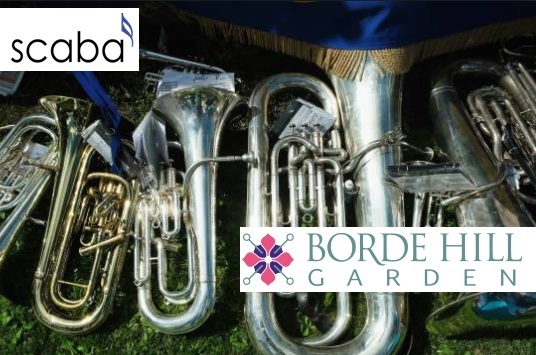 In memory of the long serving and loyal Officers of scaba, Peggy and Bob Tucker, their daughter Janet Blackford has created two bursaries to cover the fees for attending courses of the National Youth Brass band of Great Britain and the National Children’s Brass Band of Great Britain. (The bursaries do not include the cost of travel to and from the course venues). Applications are invited from young players from bands which are currently members of scaba, who have applied to join either The National Youth Brass Band of GB Britain or the National Children’s Brass Band of GB, or who are currently members of either of these bands. The age range for the NYBB is 12-18 years and the NCBB is 8-13 years. When selecting the successful student, all applications will be considered, but preference may be given to those about to attend their first course and who have received confirmation from the administrator that they have been invited to join one of the bands. Payment of each bursary will be made direct to the NYBB or NCBB. Players should not expect to be awarded more than one of these Memorial Bursaries. Each recipient will be asked to provide a written resume of their experience. This may be published on the scaba website. Any eligible player interested in being considered for one of these awards should contact Mrs Janet Blackford at Malindens, School Path, Barcombe, Lewes, BN8 5DN for an application form.